Just thought because there is continued interest in C60 it would be a good place to put new vids as they come online. Ken "the Scientist" along with Patty Greer joins the program to discuss Greer's brush in with energy weapons, the amazing benefits of C60, and how C60 is the source of life. 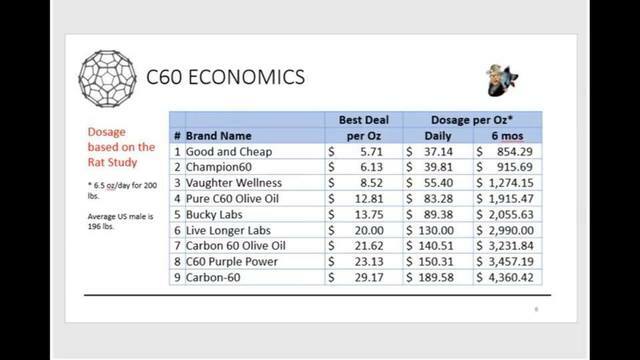 Ken is the mind behind C60PurplePower.com which brings us one the highest quality C60 oil available today. Ken also explains how he formulated new mathematical formulas for gravity that are 3 orders of magnitude more precise than Newton's. This is enabling governments worldwide to have accurate anti ballistic missile technology. It also enables space organizations to accurately land and maneuver craft. What a wonderful Thanksgiving treat. Our conversation with the brilliant mind. Clif High. From Blockchain and governance to banks and money. We talk about Neo, OMG, Veritaseum Populous and more. From the troubles with removing the BCH and BTC noise due to such similar linguistics and out to the far reaches of interstellar space.The joys of speaking with such a unique soul and mind. We talk new medicines and C60 as well as some very exciting times in the business models and the world we have evolving today! BTW I made up a thread on C60 earlier than this thread...not that I can locate it now...lol. Wonder what that is all about. Same thing happened to me deekin, but I visited that site before and it was AOK. Strange. @unity?? I don't recall seeing another thread about C60, other than when we discussed C60 in relation to graphene on the black goo programmable matter thread. deekin try this one https://c60purplepower.com/ I did a google search just out of curiosity, and the correct site came up. https not http . You might want to check out this site http://www.citrusc.com.au/citrusc.html for C60 as well. Thanks breezy, it was slow to load but it came up. 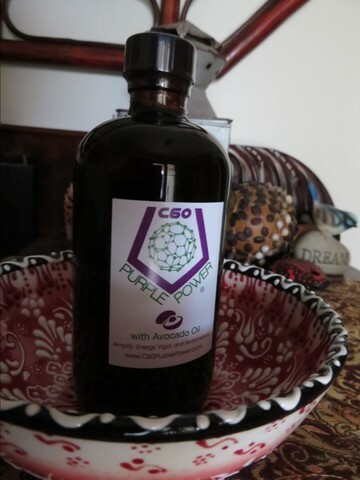 Ken speaks very straight forward, and I got my bottle of Avocado oil suspended C60 from him at C60purplepower.com. I was warned by a doctor to watch out for the toxic material that's made by Flaren reaction (I take it's a part of the process to make C60, and Ken also points out we must avoid them, and the high pricing come from endured safer processing in comparison to some Chinese companies doing it......interesting!). It's been about a week since I start taking it, and it did miraculous thing in the first day. My biofilm was preventing me to lose weight from a certain point, and I just couldn't make my body to purge. That's due to push and pull within the body, trying to retain the plateaued health balance. My balancing act is forever sensitive, juggling multiple disabilities. Anyway, I didn't do anything---no exercises, just sleeping a lot. And lost 1.5 kg in over night. That's after I couldn't make the breakthrough for over 3 years. Also I noticed I have physical moments that it rejected going for toxic food. While I don't believe in total purity of food intake when we just cannot get the 100% purity from our air, water and earth, once the body decides to expel toxins out, it seems to focus more to clear out whatever your body wants to get rid of, whether consciously we choose so or not. I had nauseated moments in the first few days after ingesting it, I think my body is getting used to it. IDK if that'd be the same case when I raise the amount of intake to be doubled. Also, Ken said it's best to take lots of small doses than taking it in one big amount, according to others getting back to him. And he endorses to take it in small amount but taking it more frequently to up the amount of intake. Great info Unity so glad you are getting such significant benefits from using C60 .. Interestingly your reference to avoiding toxic foods resulting from C60 YES fully agree even finding no desire to eat banana's is common we think due to the radiation factor all banana's have .. I actually make C60 in Oz have been doing it for quite a few months under laboratory conditions now and have been taking it myself for close to a year now. One warning for Australians ordering from over seas I have had a few reports of rancid oil being received. After some due diligence on their behalf Australian customs will randomly pass some food imports through there Gamma irradiating screening before entry into public space and this appears to be a contributor to turning the imported oils. I presume its how the items are labeled that flags there concerns. Just something to be aware of. Also specifically it has been the Sunflower oil C60 thus far. Glad you are all benefiting from this thread. phillip, being interested in taking C60 myself. your comment about the gamma radiation is concerning (to say the least). A recent video fro American Intelligence Media stated that C60 should not be exposed to light of any kind, and I think they said it was best dealt with in a completely dark room using infrared goggles (I think.. will have to listen to it again). Is it so difficult to make.for someone who is experienced in lab work? Funny about the bananas. Hubby used to eat them a lot and has recently gone off them completely. Me - I've kept eating them. Did I miss a list of foods to avoid (other than the usual suspects), that hadn't usually been classed as toxic whether one is taking C60 or not? And what about RICE? From anywhere? I started taking carbon 60 on Dec. 29th and have had some very good results so far. Rather amazing actually. It seems to really be great for inflammation and arthritis. I have one knee that needs replacing that at times i could barely get around on.. If i sat for any length of time i had trouble getting up and moving. If i stood or walked too much the knee would swell. I still work full time and was starting to worry about making it through the next tourist season at this rate. I am now popping up off the couch or computer chair and moving right out. I am walking farther and standing all day with little or no pain. I had stopped taking pain pills or nsaids last year as i found myself allergic to most of them. I really did not expect to feel this good again without surgery. My energy levels are way up there also. A huge thank you to Phil for his information and help. I also found a DIY site which I'll add later. The light issue is all to do with the OIL and yes I stir in complete darkness for the 2 weeks Actually 350 hours is the standard protocol with the beaker being turned 90 degrees every 24 hrs and checked every 4-6 hours the reason for the checking and logging is to ensure if you have a power out or mechanical failure you have only to increase the stirring time by the checking increment. The other thing never mentioned is the beaker must be hermetically sealed to prevent airborne yeasts and other particles from being able to reach the surface of the oil. At the completion of the time stirring, samples have to be taken and put under a microscope to asses an even structured pattern in the oil and then we perform optical microscopy to have the true suspension% which must be greater than 700 ug/ml of C60 so that you can label within ISO if all is within the excepted range then most do a final filter to remove larger particles so they can be re-used (I don't do this to the degree that they do because generally I stir for a further 72 hours and can get close to a complete suspension of all the C60 in the run. Which means my suspensions are higher than labeled varying from 820 ug/ml to 900+ ug/ml . I do not use sunflower oil for toxicity reasons, from my own studies on radiation toxicity and organic methods of clearing soil sub straights of radiated contamination one of the main methods is to plant sunflower because the entire plant takes up soil toxic material very efficiently. So in essence the plant itself naturally detoxifies any soil it is grown in and these toxic substances are stored by the plant in the oil and fibre of the plant.. So by my logic if I used cold press sunflower oil I may be using an oil already loaded with contaminated particles. To risky in my book .. stick to the Olive and Coconut oils so long as you have providence and Hemp which I am doing now that I have a verifiable organic source in Australia and not imported for the customs scanning reasons. The C60 itself is another issue with demands on production increasing some refiners may be tempted to drop the ball a little, so use research grade 99.98% C60 its costs me much more BUT my source supplies universities and research facilities with all nano particles across a wide spectrum of the periodic table. They can't afford to have complaints IMO so pay a little more get a lot more sleep. Strange how Berzerk keeps coming up. Housedad was onto the telemere/DNA business. Once again, I'm reminded of Acolyte saying we had no clue, at the time, how all encompassing Berzerk really was. He was right in so many ways! I really hope someday soon you'd be able to sell your C60 to Aussie public! Re: concern over the irradiation at the border, yeahhhhh I thought about it, too. This is kinda demeaning for C60, but I thought any irradiation crap, C60 itself would deal with it, so though the potency of C60 might be affected at some level in the end, if irradiated, still C60 should work for us. But it is best if the stuff is locally available. Here's some price info which a friend of mine discovered off the net (I didn't know she went for it...she's an Registered Nurse working in the Emergency ward), which I'm not sure where the hell it came from......except it must be a part of the vids which Shawn had kindly posted up here for us to watch. My friend is going for the Vaughter Wellness. She said she went through a small bottle of it. I was continuously skeptic to myself for what I was seeing. 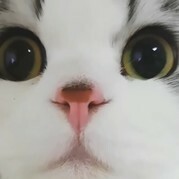 Jumping time of sometime 3 days and not feeling pain is incredible...I just still felt maybe my foggy brain from almighty pain (though I'm used to registering it) was causing total mistake in recognising time flow. I have been taking the pics of what I had written on my medication dispensers when I took the meds. So I can see all jump dates. But those were "missing time", meaning my PRESENT TIME is assured to be with me, in unison with the rest of the shared reality with everyone around me. I have come across to missing 24 hours INTO FUTURE. I just went WTF then, when I found it out. Ummmmmmmm sorry, my bad not be able to express more clearly for anyone to understand what I went through. We are used to hear "lost time" when someone get abducted. BUT NEVER ANYONE MENTIONED GOING TO FUTURE BEING MENTIONED. And because of this back and forth movement of ME (a point of consciousness retaining its own core time, separately existing to the shared reality?) in time within this time line, I'm gathering up full on new way to see ourselves. Something major interesting is happening to our ability. And C60 has been supporting this change. The pain level has been certainly lowered by it, I feel. May not be showing a direct effect to my problem, which includes loss of 2 spinal bones, but overall effect to my entire being. I feel it's working slightly different way and direction to how Monoatomic Gold worked for me. Something close to that effect, but not exactly the same is happening. It's fascinating to say the least. Anyone else getting such weird effect from C60??? "I really hope someday soon you'd be able to sell your C60 to Aussie public!" As to weird effects from C60 it all comes down to each persons body and the toxic build up that has occurred over that persons life. For instance of you have taken many different medications some of the toxins that have been stored or have oxidized telomeres to do with sensory or neurological function will present different symptoms as they are cleansed so to speak and will return to normal function over a normal cellular replication cycle. Also the extra oxygen carrying ability of the blood can be euphoric for some , but everyone is different. The key is even when it flattens off and you feel its doing nothing IT IS. And yes there are doctors taking massive doses to measure different changes etc with great success but highly expensive. Its easy to spend university money. The pet area is showing huge results and the schools of veterinary science are working through several trials that are proving fruitful. I personally have started making a general skin balm after being asked to make some lip balm by my daughter , after several versions I have perfected the correct mix much to the amasing results being reported back to me by my clients who are all receiving a free sample with their C60 at the moment.